I have often said that my creative spurts feel like waves. Right now I am a bit at a low point. I am busy sewing labels and sleeves on my contributions for our local Guild show as well as my two accepted entries for shows elsewhere. I am always amazed at the amount of time these 'finishing up' projects take. Between creating the sleeves and going over each quilt for errant cat hairs and loose threads, each quilt is a project in itself. And, with deadlines in place for when these quilts must be ready, I can't put off these finishing tasks. Particularly with travel for the SAQA Visioning Conference ahead. 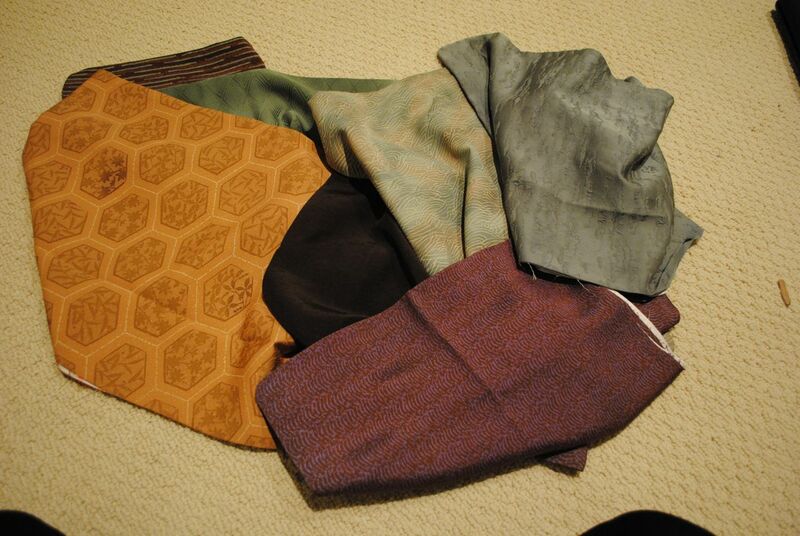 And, when I returned home, I couldn't resist another source: Kyoto Kimono. I took a trip to Kyoto a number of years ago with the owner, Nancy McDonough, that I totally enjoyed. We roamed through gardens and open air markets. 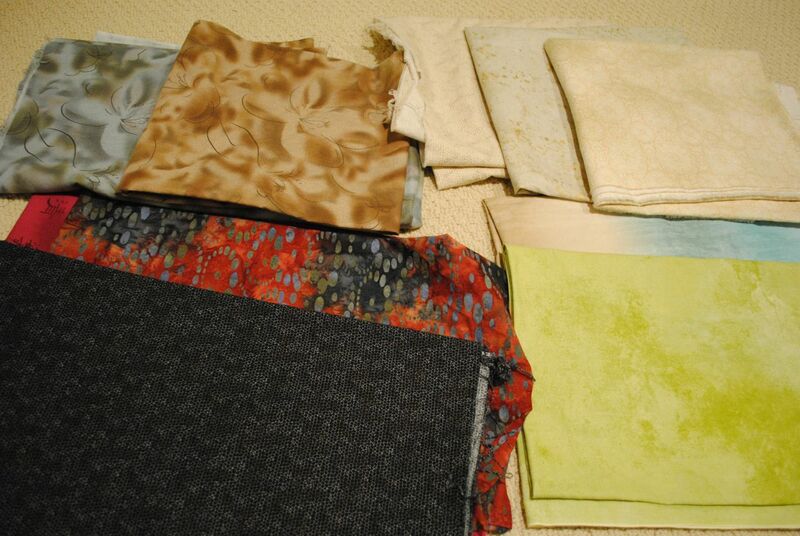 Nancy specializes in all things kimono and her current newsletter offered a selection of sleeves for sale as a package. I ordered one set, thinking I might use in that project I mentioned earlier. 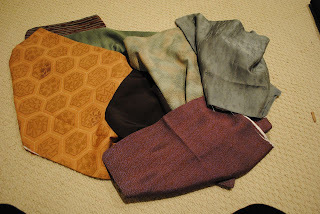 Alas, that project is on a back burner, but when the sleeves arrived, I realize they would be perfect for creating more of the silk scarves that I made a few years ago and were loved by many. So, while I may be without a plan for my next art quilt at the moment, I suspect that I can fill in some days creating some scarves -- once I get those sleeves finished! Creativity is like life, with ebbs and flows. Each feeds the other.